Team Lists for Opens (Sat & Wed) and Inters are now available! Team lists for Opens (Saturday and Wednesday) and Intermediates are now available! Stay tuned Juniors your selections will be posted tomorrow! We would like to thank the Selection Committee and the Summer Season Coaches for their feedback which was invaluable in assisting with team placement. 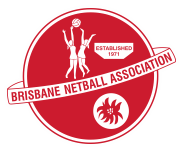 A big thank you also to everyone else who assisted on the grading days particularly Suzi, Kristin, Jodie, Andrew, our Umpires and Coaches and the rest of the hard working committee. We would like to thank all players and parents for taking the time out to come down and participate on our grading days, and for your patience with waiting for team lists to be posted. Coaches will be in touch with you soon.